Home|Asia|Places|Plan Your Trip|Planning Goa Vacation? Should you stay at North or South Goa? When my friends and acquaintances remember or know that I hail from Goa, one question they ask me is ‘which is the best location to stay?’ Over the years, the question has been refined to – North or South Goa? Before we explore the reasons for North or South Goa, let me list the places of interest in both these districts. Yes, Goa has only two districts and they are North Goa and South Goa! 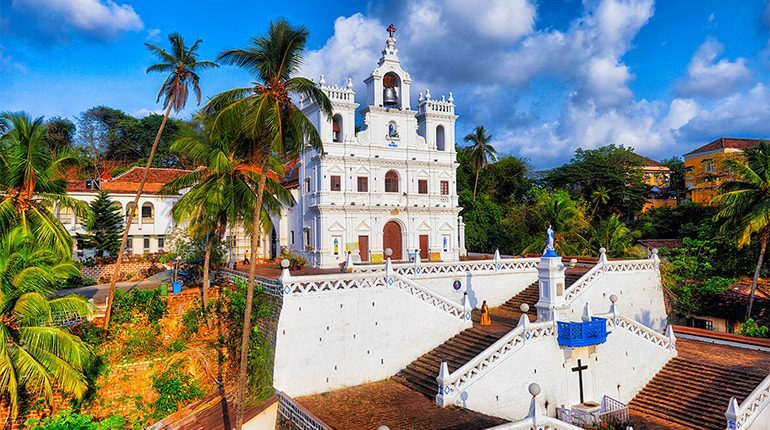 North Goa has the state capital city Panaji (or Panjim), Mapusa, Old Goa (or Goa Velha), Porvorim. North Goa also has famous beach locations like Anjuna, Baga, Calangute, Vagator. South Goa has cities like Margao, Vasco, the temple town of Ponda and beaches like Colva and Palolem. So here’s how you can choose between North and South Goa. This is your first time…in Goa. Firstly, what took you so long to visit Goa? But as they say, better late than never. So if this is your first time here, I recommend staying in North Goa. Why? Because you get to enjoy the Goa you have been seeing in picture postcards and movies. You will also get most bang for your buck in the least number of days. Note that I wrote ‘stay’ and not visit. This is because you can easily travel from one city / town to another in this tiny state within an hour or two at most. Even if you factor in the traffic. So, you can stay at a beach shack or numerous hotels near Baga / Calangute, hire a vehicle and easily roam the state. But, to get an immersive experience you should stay at Panaji, then walk the pedestrian-friendly streets of the city. Consider hiring a 2-wheeler or car to enjoy other attractions. A word of caution if you hire a car – finding a parking slot is a major hassle especially in the Panaji city centre. There is a multi-level parking area near Patto / Panaji Bus Stand, where you can park your car and head into the city on the city bus. At least that was the idea of city planners. Parking issue is of course less bothersome if you are on a 2-wheeler. While in Goa, do try the uniquely Goan “Pilot” – which essentially are motorcycle taxis! There is a new electric bike service called BLive, near the multi-level parking at Patto. This way you can enjoy places in and around Panaji on a ‘green’ transport. Do note that there are no app based cabs like Uber and Ola (yet). There are only local taxis which are expensive. To most people who think that Goa is just beaches and booze, you will be pleasantly surprised to know that Goa offers more. 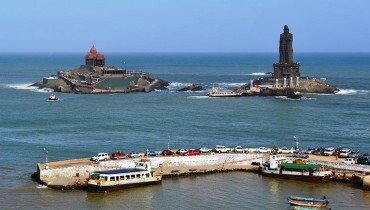 One can visit the numerous historical landmarks, go on heritage walks or to places of worship. Eat at restaurants with global cuisine although nothing beats Goan seafood. In giving you a holistic experience, North Goa trumps (arguably) South Goa. Panaji and Old Goa has the most heritage sites along with two major beaches viz Miramar (or Gaspar Dias) and Dona Paula. Although I am not much of a fan, most domestic tourists love the casinos on the Mandovi river. Alternatively, there are Mandovi river cruises run by private and state govt operators in the evenings.There is also a Hop-on Hop-off bus service which lets you see this beautiful city. Panaji has many excellent restaurants which serve delicious Goan seafood fresh from the Arabian Sea. Of course washed down with beer or the local drink ‘feni’. What if you stay at or near the well-known beaches like Baga, Calangute etc? You can still hop into a cab or hired vehicle and reach Panaji in 30 minutes. If you don’t mind a bit of waiting and travelling with strangers, you can choose the bus services which are much cheaper. The downside to North Goa is lots of tourists. Not just domestic tourists, but also foreigners, and not all of them are well-heeled or clean. (I am not talking only about personal hygiene here.) Which brings me to the next point. You just want a quiet vacation. You have had enough of the action in North Goa and just want a bit of quiet? Then head to South Goa locations which has accommodations from the budget shacks at Palolem to 5-star properties like Leela Resort at Cavelossim. Fewer people know about these places (as of now). So you can have a peaceful stay here and reinvigorate yourself before you head in to your rat-race again. Of course, if you cannot enjoy the beach when it is hot in the day, you can always tour the heritage sites in Margao. Or go and pay obeisance at the old, well-kept temples around Ponda. There are many old temples like Mangueshi, Shantadurga, Ramnathi etc where you can pray to the Lord peacefully. Here, unlike other places in India nobody is out to get your money, or there are no back-breaking queues (what queues?!). As for eating out, there are good restaurants on / near the beaches and a few in Margao, but unlike those in North Goa. Do other factors like proximity to airport, train and bus stations or your vacation budget matter? No, they don’t. 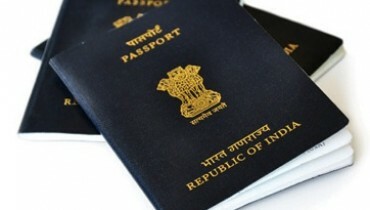 There is only one airport at Dabolim in South Goa with many transportation options to North Goa locations. All within 45 minute drive at most. Even when the new airport is commissioned at Mopa (near Mapusa) in 2019, the situation will remain pretty much the same. Outstation buses start / stop at Margao and go via Panaji and Mapusa to other states. Ditto for trains. As for your vacation budget, most of it will be spent in staying. Both North and South Goa have accommodations from the humble shacks to 5-star suites, with North Goa having a sizable number of them. I hope that this post will help you make an informed decision on whether to stay at North or South Goa. Please do post your questions in the comments section below. This will enable me to keep updating this post with relevant information.